Many of us know that oral cancer exists, but we don’t think it applies to us for multiple reasons. Either we don’t use tobacco, we are too young, or we go to the Dentist every 6 months…but just like every other cancer that can occur, oral cancer does not discriminate. Oral Cancer affects close to 45,750 Americans a year. According to Oral Cancer Foundation, the survival rate over a 5 year span is about 57%. The death rate for oral cancer is higher than that of cervical cancer, Hodgkin’s lymphoma, and endocrine cancer such as thyroid cancer. 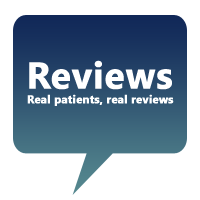 Dr. Ross believes knowledge is power, and everyone should know the signs, symptoms, and treatments of oral cancer. What part of my mouth does oral cancer refer to? Oral Cancer refers to your lips, gums, tongue, inside lining of the cheeks, roof of the mouth, and the floor of the mouth which could include the jaw. 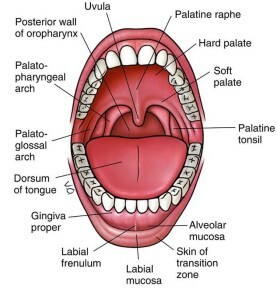 Sometimes the tongue can be confusing because your tongue goes back in the throat, the oropharynx. This is the part of the throat that includes the back one third of the tongue, soft palate, and the side and back walls of the throat. One of the scariest things about this cancer is that in the early stages it is usually painless and the changes in the tissue may not be very obvious. The changes in the tissue can be a small, white or red lesion in the mouth, or a small indurated ulcer which looks a lot like a canker sore. All of these tissue changes can also be something like an irritation from biting your cheek or a common canker sore. How can you tell the difference? This area usually heals within 2 weeks or 14 days. Once the 2 weeks or 14 days have expired, if the suspicious area is still present then it is time to seek medical attention. More obvious signs and symptoms can include a lump in your mouth or neck, pain or difficulty swallowing, speaking, or chewing. 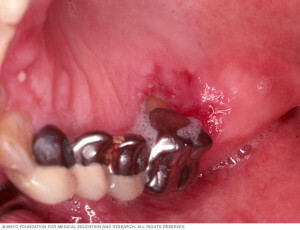 This is a picture of what oral cancer can look like inside of the mouth. Oral Cancer can take different colors and forms. This picture is also oral cancer in the mouth. Who is affected by Oral Cancer? As stated earlier, any one is at risk for developing oral cancer. Tobacco use and alcohol use are both very big risk factors for oral cancer. Tobacco users have a risk six times higher for developing oral cancer than non-tobacco users. Recent studies report that the HPV16 is of concern. According to Oral Cancer Foundation there are about 200 strains of HPV virus. Most people will be able to fight off HPV with no serious consequences. HPV infects the epithelial cells of skin and mucosa, which includes the inside of the mouth, throat and tonsils. 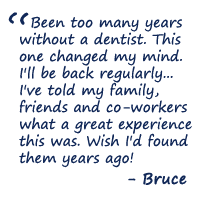 Treatment for oral cancer varies according to location, stage, overall health, and patient preference. Usually, an oncologist will evaluate the entire mouth to see if there are other areas of concern that will also need to be addressed. Like many oral cancer treatments, if the infected area can be removed surgically, this is often a recommended treatment. Below is a picture of Rick Bender who is a former baseball player who had part of his tongue and lower jaw removed due to oral cancer due to chewing tobacco. 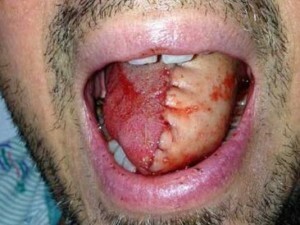 This photo is of a tongue that had to be partially removed due to oral cancer. Half of this person’s tongue had to have surgery due to oral cancer. 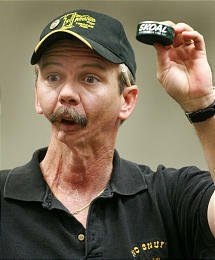 Oral cancer can happen to anyone. The most important way to catch it early is to go to the Dentist and have oral cancer screenings. 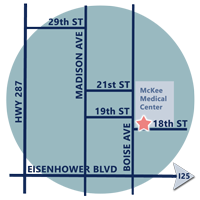 Here at Ross Family Dentistry, we perform oral cancer screenings at your initial visit and at every one of your 6 month routine cleanings. Don’t forget to check out our rapid fire questions that we asked Heidi! Heidi has been with Ross Family Dentistry since November 2015!